I love all the yummy fruit snacks available now that it's summer. I thought the second pic was too funny not to share. My dog Bailey, he was very interested in this photography project. Yum Yum!! Great picture. Also...on a side note, love the signature at the bottom of your entries! 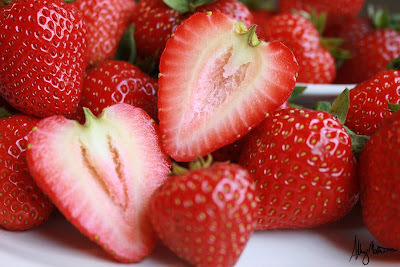 Those strawberries are gorgeous, and I LOVE strawberries. That second shot is too precious. Looks DELICIOUS!!!!!!! My favorite fruit!! How pretty! 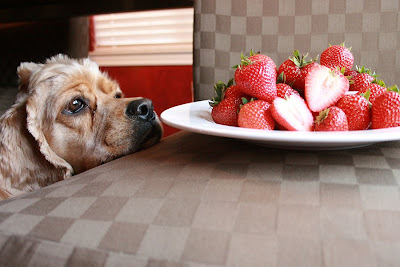 I love the one with your dog doing his best to be good and not steal a strawberry!